Eveline is the Santoemma patented system for complete cleaning and sanitizing of 100-200 square meters furnished places, with areas of different type: restrooms, working areas, offices, walkways, store-rooms, changing rooms, kitchens, café and restoration areas. 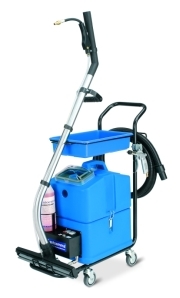 Eveline allows to perfectly clean and sanitize vertical surfaces, sanitary fixtures and hard floor. 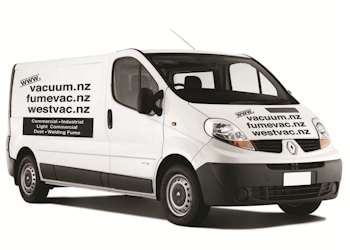 Vacuuming of residual liquid from floors. The spray gun allows to spray concentrated chemical solution and to rinse vertical surfaces, walls and sanitary fixtures. Whilst the special wand supplied allows to clean hard floor with the injection-extraction system. 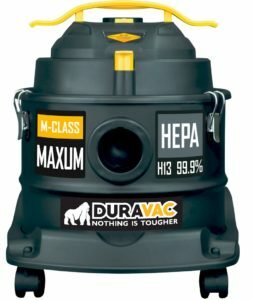 A dedicated bristle, located on the vacuum head, allows to brush effectively very dirty hard floors. The dirt detached from the floor is completely removed thanks to powerful vacuuming and is collected in the recovery tank. To clean hard floors it is possible to spray and vacuum simultaneously, or to spray, brush and then vacuum afterwards. In both cases hard floors are left perfectly dry in few seconds and without effort. Eveline really removes the dirt from walls and hard floor without leaving any residual dirt on the surfaces and represents today the ideal solution, replacing manual equipment which move the dirt and bacteria from place to place. Eveline makes the job effective, quick, pleasant. The areas are completely cleaned, sanitized, dried and perfumed. Small and Light, Eveline can be easily carried from place to place and stored after use. Eveline is the optimal solution for any 100-200 square meters furnished areas, such as for example: restaurants, holiday farms, fast-food outlets, pubs, discotheques, petrol stations, offices, factories, private companies, shops, shopping centers, cinemas, theatres, hospitals, nursing homes, kindergarten, schools, universities, ferries, cruise ships, airports, fitness centers, swimming pools, saunas, spa, hotels, pastry shops, bakeries. Complete cleaning and sanitizing. The chemical solution sprayed acts on all the surfaces, ensuring both cleaning and sanitizing also in corners not easily reachable with manual tools. Laboratory tests certify that Eveline eliminates 99.9% of bacteria. Greatest hygienic safety for the operator, who does not come in touch with the objects and the surfaces to be cleaned. Reduced labour for the operator. Manual work is reduced to a minimum, since the dirt is removed by the solution chemical action and the following rinsing and vacuuming. Ease of use. Using the machine is very simple and does not require any training for the operator. Saving of time. Any place can be completely cleaned, sanitized and dried in less than one third of the time required with manual tools. Saving of electrical power. The machine requires only minimal electrical power and can be used in any place. 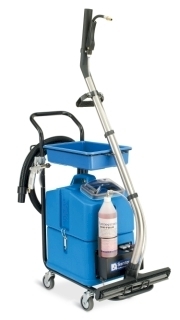 With optional accessories, Eveline can clean carpet, rugs, upholstery and inside of cars, with the injection-extraction system. There is also a battery model available.